You are about to start the most thrilling chapter of the wedding planning…the quest for the perfect dress! Before you start making your appointments, you should learn a little bit about the wedding dress basic silhouettes. This will give you a glimpse about what you will find in stores, what might suit your body and what in the world the shop consultant is talking about. So, if you want to feel like Cinderella, you should definitely choose this one. It’s the most traditional style, with its full skirt and fitted bodice (classic or dropped waist). It fits almost every body type (but be careful when choosing the fabrics) and is great for camouflaging a fuller lower body (pear shape body type). It can be heavy (depends on the fabrics) and a little bit tricky when dancing. If you don’t want the figure-hugging gown, you could choose the empire line style. The skirt is not as full as the ball gown or A-line shape and starts just below the bust line. You’ll be able to move more freely in it, and it best suits a slim, small-bust figure lady, with a romantic look in her mind. It’s also the first choice of the pregnant brides. Probably the most chosen dress style, it gets its name from the A-shaped line. You’ll find it in lots of styles & fabrics, with more or less fuller skirts, but usually with the fitted bodice. No matter the body type, this style is the one you can’t go wrong with. Here is the second most desired dress style on Earth right now. Very flattering on the right body shape, it’s tight on the body until just above the knee. The skirt may be less or more fuller, depends on the style. If it has a little train at the back, it becomes a fishtail style dress. 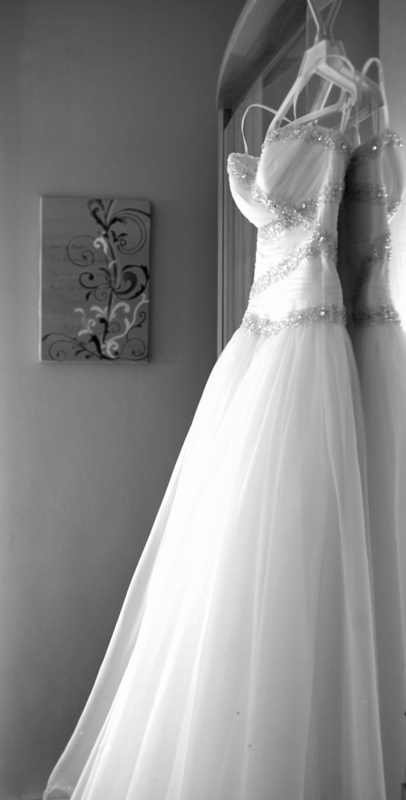 I want to say one thing about who should wear this type of dress: brides with a mermaid (hourglass) body shape! They don’t have to be tall and very slim, but they must be well proportioned. The mermaid dress is not a very forgiving style. It will show every curve and any disproportion. Want to wear the full(er) classic skirt in a modern way? Try the tea length dress and you can dance like no other at your wedding. Tea length style actually appeared in the 50’s and it was extremely popular as it was the daily wearable princess look. It’s a very stylish look, and the skirt length stops anywhere from the middle of the calf to the ankle. Now go shopping and enjoy yourself… the moments you are about to live will stay with you forever! Let me know if you found my post helpful, and don’t forget you can send me pictures with you dressed in different wedding dresses so I can give you my professional advice, if you feel like you need one. Find out more about this here.